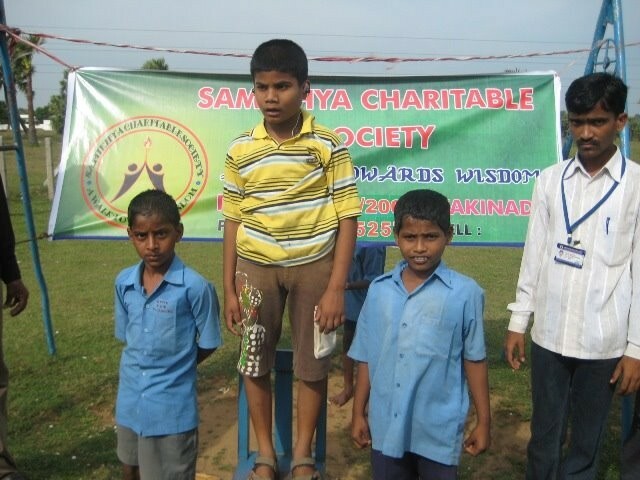 On the occasion of Childrens Day Team Samikhya conducted Sports n Cultural Events to the Special Children of Uma Mano Vikas Kendram . 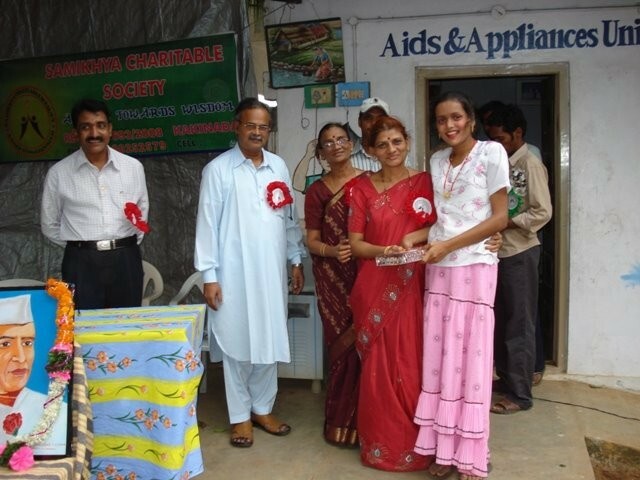 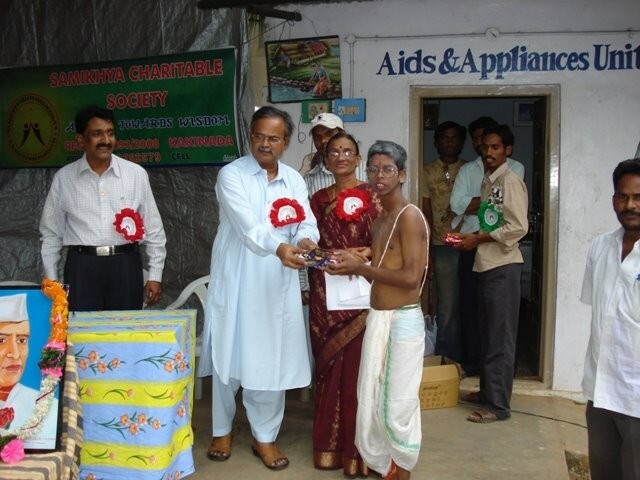 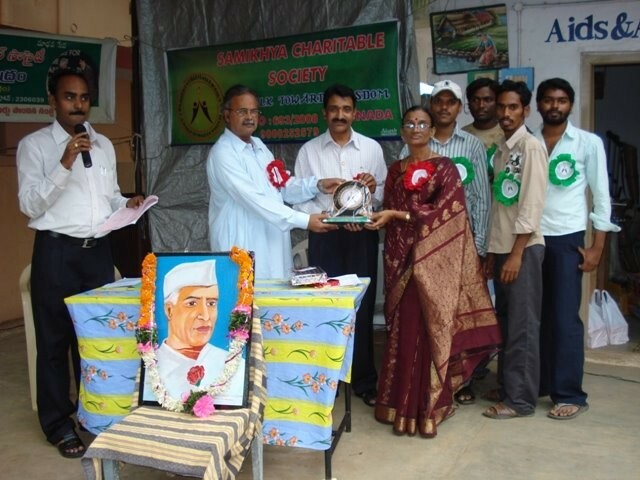 Distributed prizes to the winners. 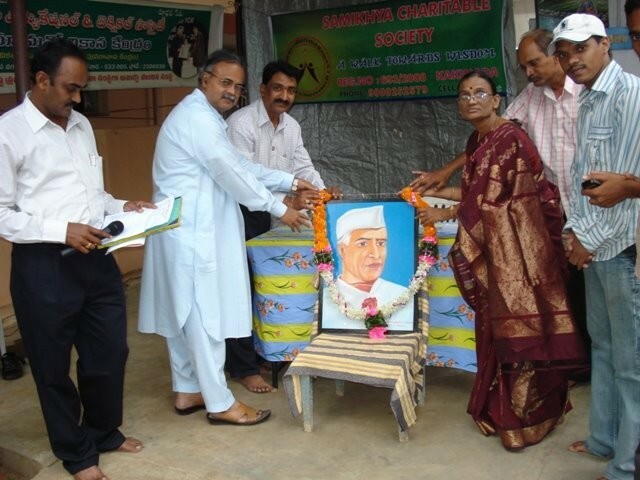 Advocate Sri Jawhar Ali garu R&B Engineer Respected Padmavathi garu garlanding Chachaji’s photo. 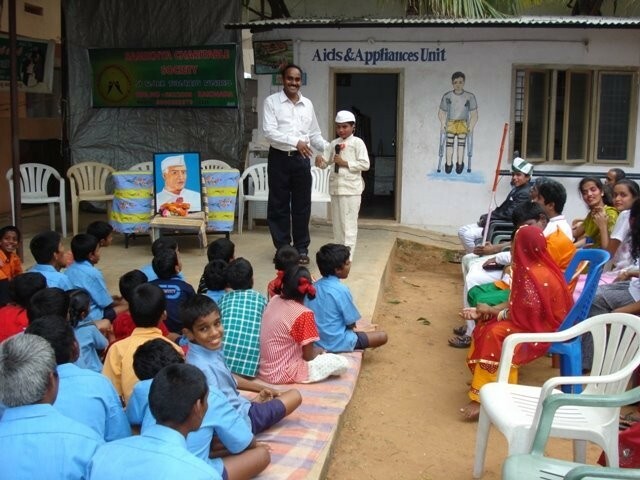 Team members with students of Uma Mano Vikas Kendram. 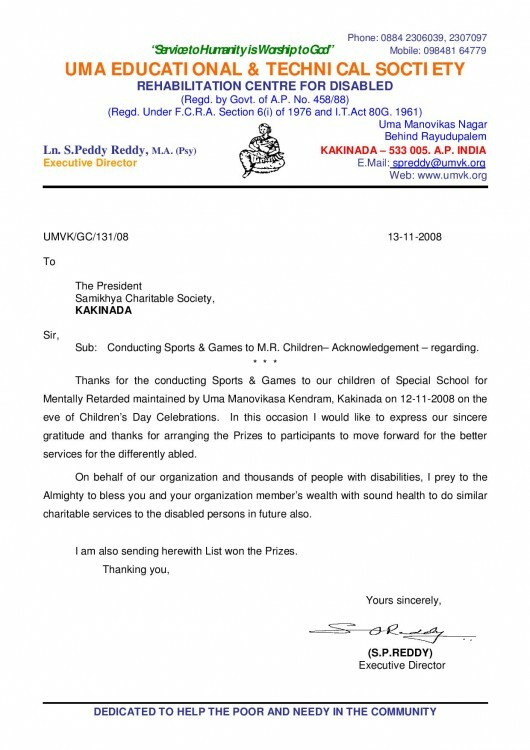 Acknowledgment letter from Uma Mano Vikas Kendram.